David Samadi is a world renowned urologist and front runner in prostate cancer treatment and Robotic Assisted Laparoscopic Prostatectomy or RALP, a type of surgery commonly used to treat men with prostate cancer. Dr. David Samadi performed over 7000 robotic prostate surgeries and established a robust practice at Columbia Presbyterian Hospital, where he served as Director of Robotic Laparoscopic Surgery in the Department of Urology. He is a board-certified urologist and a leader in men’s health, he specializes in the diagnosis and treatment of prostate cancer, bladder cancer, kidney cancer and other urologic diseases, providing targeted therapies for men that not only treat the disease, but also reduce incontinence, improve sexual function and quality of life. 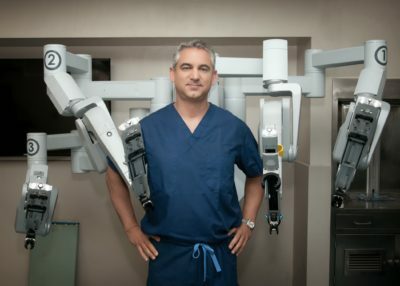 Dr. Samadi has performed more than 800 robotic laparoscopic procedures, and frequently lectures and trains other urologists on the use of the da Vinci® robotic surgical system, a revolutionary technology that magnifies the surgical field significantly and gives surgeons greater visualization, dexterity, and precision during surgery. Dr. Samadi is unique in that he is one of very few urologic Oncologic surgeons in the United States trained in all three primary areas of surgery-open, laparoscopic, and robotic. He serves as a Member of the Medical Advisory Board at PinnacleCare International, LLC. Dr. Samadi is the Founder and Director of Mount Sinai’s Robotic Fellowship Program. He is also an international lecturer and has written many publications, including articles in Urologic Oncology, Journal of the Society of Laparascopic Surgeons, Journal of Robotic Surgery, and the World Journal of Urology. Additionally, Dr. Samadi is a member of the American Urologic Association and the American Medical Association. He is Board certified from American Board of Urology. He did his Residency in General Surgery from Montefiore Medical Center in 1996 and Urology from Albert Einstein College of Medicine in 2000. He did his Fellowship in Urology Oncology from Memorial Sloan-Kettering Cancer Center in 2001 and Laparoscopic & Robotic Surgery from Henri Mondor Hospital, France in 2002. He completed M.D from S.U.N.Y., Stony Brook School of Medicine, Stony Brook, New York in 1994. 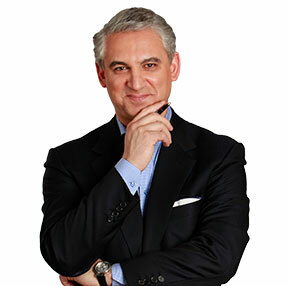 Dr. Samadi has been featured in Forbes Magazine, Connecticut’s cable news channel, Cable News 12, and his articles have been published in many medical journals. He was recognized in the Best Doctors issue of New York Magazine in 2009. Currently Dr. David B. Samadi is Chairman of Urology, Program Director of Urology Residency and Chief of Robotic Surgery at Lenox Hill Hospital. Lenox Hill Hospital is New York State’s largest health care provider and private employer, having 13,600 physicians, more than 15,000 nurses and more than 4,725 volunteers to help deliver the care you need.